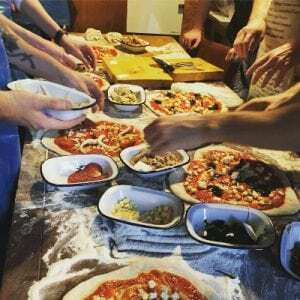 As well as innovative artisan pizzas from the pulled pork masterpiece of ‘Piggy Smalls’ to the veggie delight of ‘Bombay Express’, some of the best craft beers, brunch and coffee, Craft and Dough also offer pizza making courses at their Ecclesall Road location. 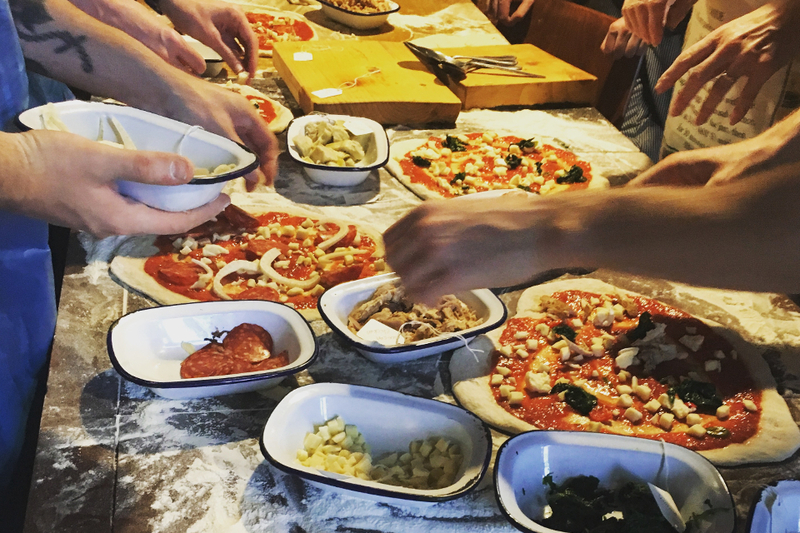 Last Saturday we attended their Advanced Pizza course to learn the secret behind their delicious pizzas. Arriving at the welcoming and relaxed restaurant just before 1pm we started with a drink before heading upstairs to their pizza school. With only 7 of us in the class Head Chef Jack talked us through the order of the day. Disposable aprons on we each grabbed a mixing bowl and were given the ingredients for our sourdough base. 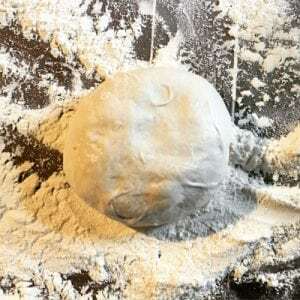 As a self-confessed flour geek and qualified baker, Jack explained the 48 hour proving process that goes into each of their hand stretched pizzas to give them a nice chewy crust and base. Onto the workout. All of us around the floured wooden table we started to knead our dough after Jack’s demonstration of the best technique, before placing it in boxes for us to take away for proving at home. 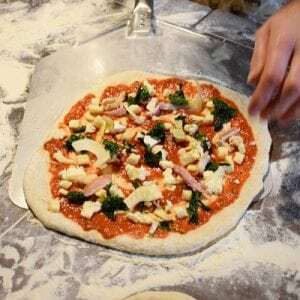 Such a nice touch to be able to take away the dough to practice the skills learnt and enjoy another sourdough pizza at home. 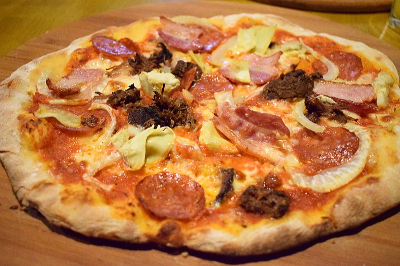 Each of us were provided with dough that had already been proved in-house, we then followed Jack’s lead in shaping it into a pizza base. 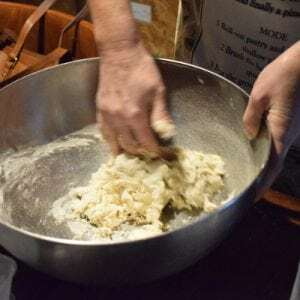 Using our fingertips to flatten it before holding it up and pinching around in a circle to form the crust. Then came the hard bit for me where I ended up with an unfortunate F for failure as mine did not flatten as I’d hoped, luckily they had some back-ups on hand! My partner’s on the other hand and embarrassingly most others in the class were perfect however. 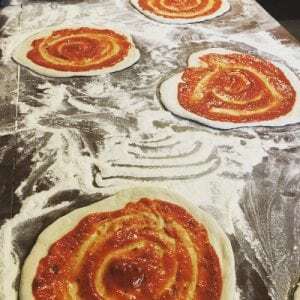 Easy part next of creating the topping, starting of course with a large swirl of their Italian imported San Marzano tomato base with added salt, sugar, basil and oregano, made fresh daily. We were then treated to a choice of incredible toppings such as fresh marinated chilies, spinach, mozzarella, fennel and pulled ox cheek and pulled pork courtesy of The Milestone restaurant in Sheffield. Happy with our creations we were all a bit nervous about the next bit of trying to get them on the pizza paddle in one piece. After Jack’s demo of the nip and very sharp tuck we all had a go and fortunately didn’t do too badly. 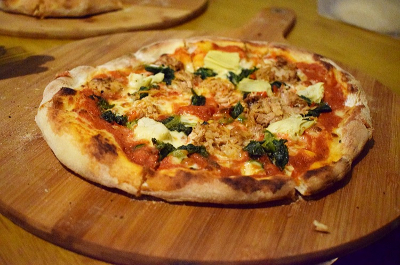 We took a seat back downstairs with a drink in hand waiting for our freshly baked pizzas to come out of the oven and we we’re not disappointed with our handy work. We thoroughly enjoyed the experience, Jack’s humour and relaxed attitude made everyone feel at ease and comfortable to ask any questions. The intimate size of the group also created a great atmosphere. The perfect way to spend a Saturday afternoon and such a great Christmas present for any fellow foodies out there. 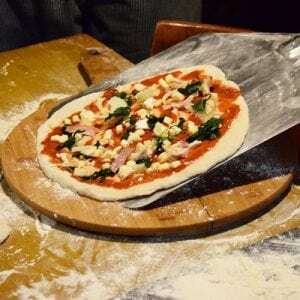 Book your Craft and Dough Pizza course experience here.